Do some blocking Ajax calls. I think we need jQuery selectors that won't make it through querySelectorAll. Some legacy Prototype.js code to slow down Array operations can't be bad. Add some CSS that will make rendering really hard (The * selector can help). Hint: Writing to localStorage blocks the UI thread in Chrome and Firefox. When you load ressources, make sure you always bust the cache so it doesn't get in your way. A little flash movie with the right wmode can have devastating effects. If you are scared to contribute because future employers might find the code and not hire you, we provide a wikileaks-style-highly-anonymous way to send in patches: @-messages a link to @cramforce. Important: Thanks for all the awesome contributions. Please make sure the changes are realistic (as in: some people would actually put them in because they don't know better) and add features. 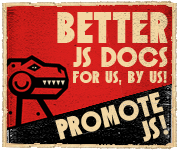 Woot, we now have support for jQuery and VaporJS! Also when you move the mouse the app saves of its state to localStorage. Thanks for all the contributions. Please make sure that every de-optimization also adds a feature.